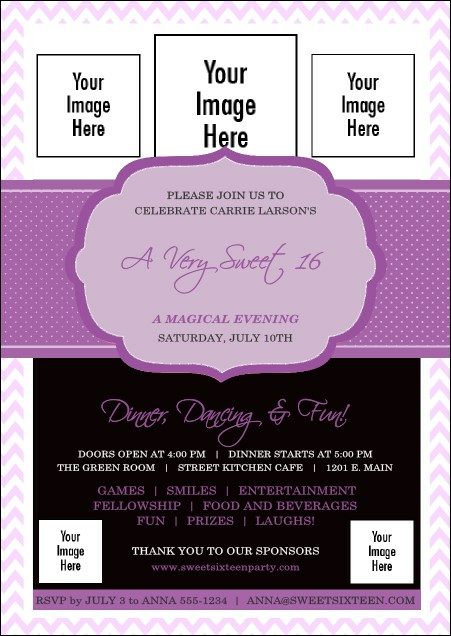 Brighten someone's day when you send the Sweet Sixteen Purple Chevron Postcard! This highly ornamented design is full of the exuberance of youth, yet sophisticated with regal shades of lavender and lilac. Zigs and zags around the edge help to focus attention on three large images of your choosing, two smaller images and 14 decorative lines of easy to edit text. Make your mailings matter with the right postcard from CanadaTicketPrinting.ca.